Essix offers you a large choice of 100% Cotton Washcloths to match your Aqua bath linen set. They are available in a large color range: White, blue, grey, black, pink, orange, green washcloths… there is washcloths for every tastes! A washcloth should not only be chosen for its washing purpose. 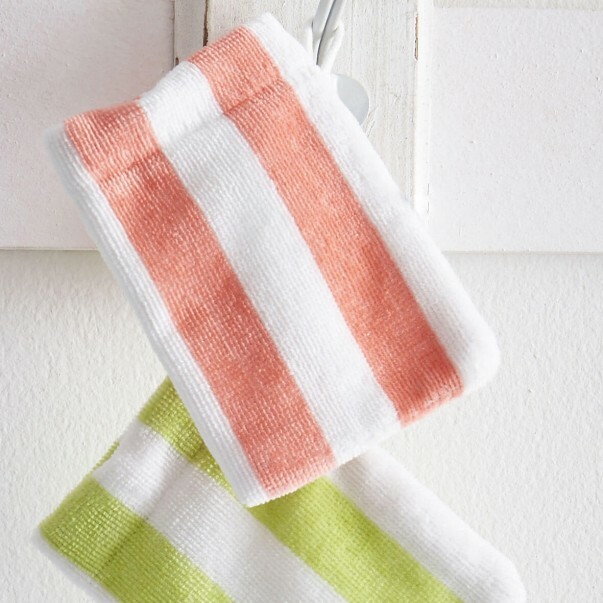 Indeed, you washcloths should match your bath linen set and your bathroom décor. To make your bathroom moment a soft and relax moment, choose our Aqua 100% cotton washcloths. Essix offers you a large choice of colors: White, blue, grey, pink, orange… You will find the washcloth you are looking for. Our lovely washcloths will bring you soft and fluffy touch-feel.